. . .able with a sweeping gesture of his hand, colorless, inert pebbles, ranging in size from a pea to a peanut. "And now, you ask, where do they come from?" This novella/long-ish short story shares a macguffin with F. Scott Fitzgerald's 'Diamond as Big as the Ritz', namely that a sudden glut of diamonds in the world will potentially ruin all those with a vested interest in that market. Decent beginning, with a bit of suspense and wonder, but the ending totally sucked. It’s like the author didn’t quite know what to do so just ended it as quickly as possible. 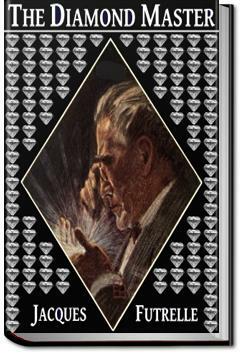 A simply written but enjoyable 1909 story that nicely blends the study of gemology and the economics of diamond market with a classic mystery as several jewellers receive identical diamonds by mail.